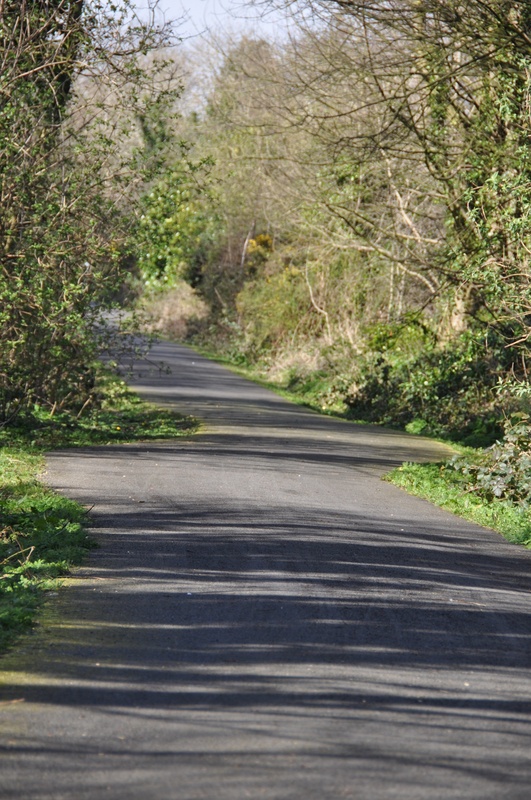 In the last blogpost from the Comber Greenway, I was crossing the Millmount Road in Ballymaglaff. 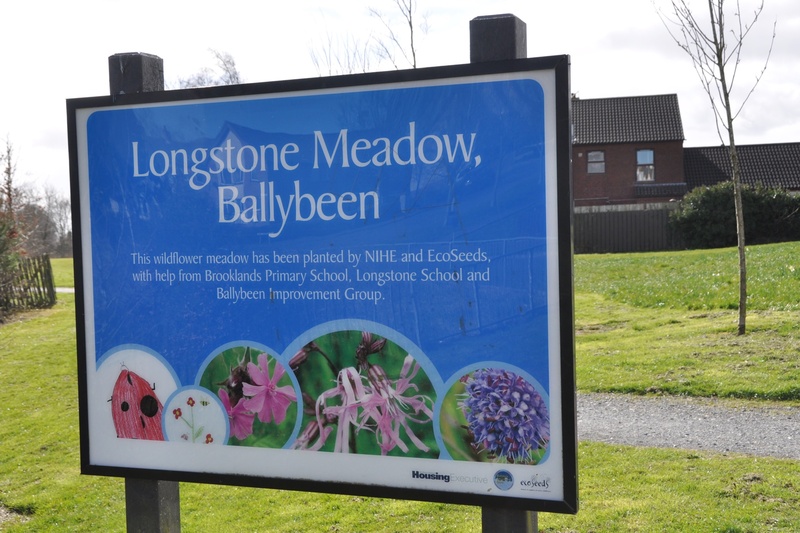 The next townland on the Greenway is Ballybeen. Since writing my blog post on “The Bally in Ballybeen” last October, I have done more research. 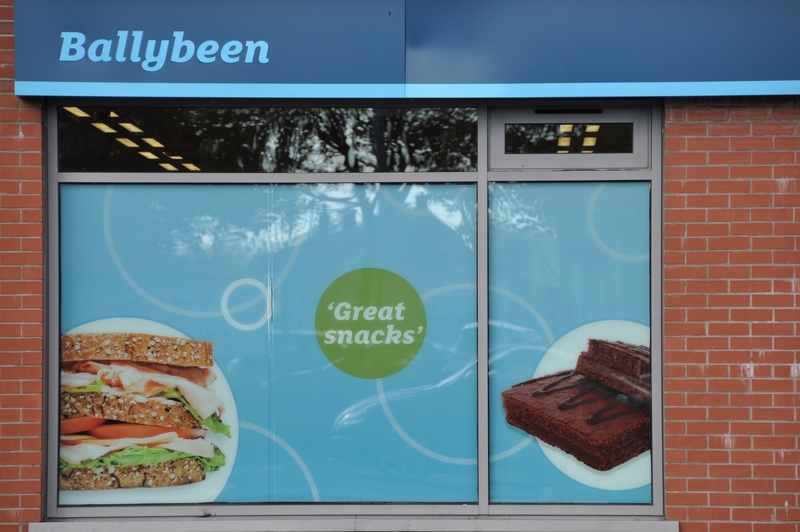 From the PLACENAMESNI website I learned that Ballybeen means “Bean’s townland”, from the English surname Bean. (I hope it isn’t actually home to Mr Bean). The boundaries of the townland now make more sense to me, and you can see them by clicking on “Show the Map” on PLACENAMESNI. 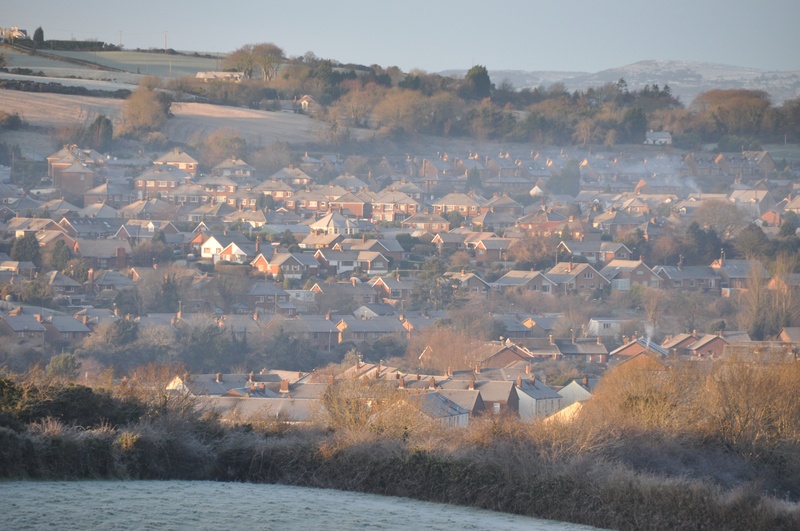 Ballybeen townland covers the western half of Ballybeen Housing Estate, but also the Comber Road to the edge of Church Quarter, and housing developments like Wanstead and Ferndene along the Old Dundonald Road. 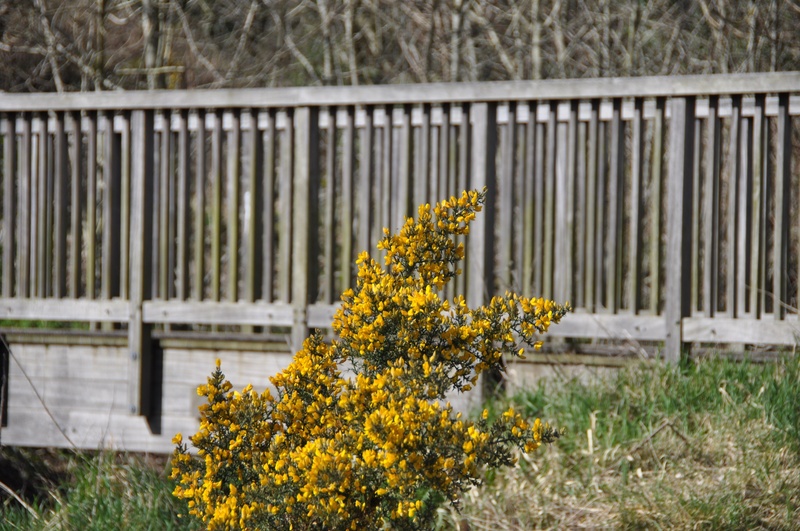 Does this mean that the Greenway loses its rural charm when it reaches Ballybeen? It no longer runs through farmland, but it gains new features of interest. The path isn’t just limited to the old railway line, and it connects with Longstone Meadow. 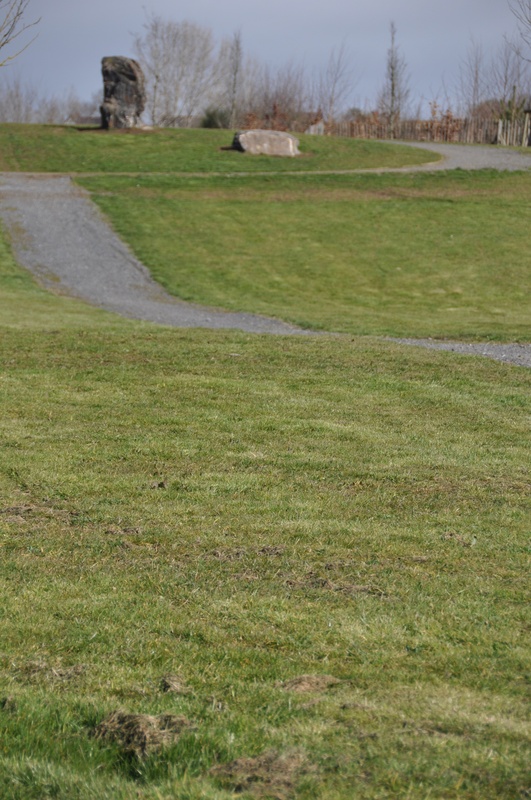 The landscaping of this area in 2010 included a series of standing stones to echo the ancient history of the area. 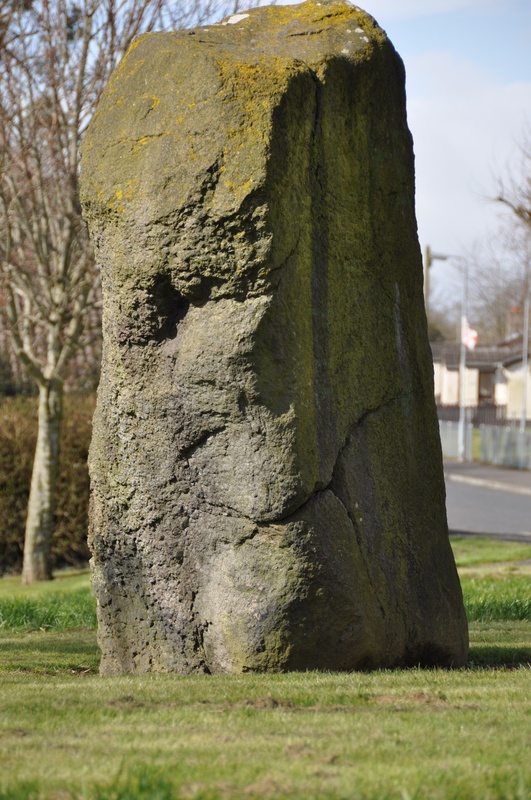 To see the original “Long Stone”, just take a short detour along Millar’s Drive and Millar’s Lane to Longstone Green. I don’t know how ancient it is, but it definitely pre-dates the housing estate! Back on the Greenway, you cross the Enler River at a wooden bridge. Then psych yourself up for a busy junction. When the railway was in use, there was a bridge across the Comber Road for trains approaching Dundonald station; now traffic lights help you cross the road. 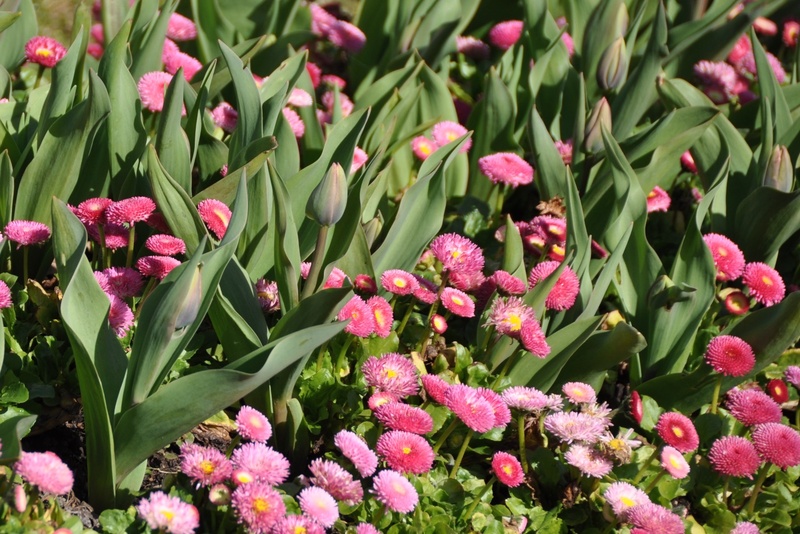 While waiting for the lights to change, you can admire the council’s floral display. Once you reach the Old Dundonald Road, you are free of traffic again, as the Greenway climbs gently through the rest of Ballybeen townland towards Belfast. There are some wonderful old photos of this area on the website “Dundonald Railway Station, Then and Now”. 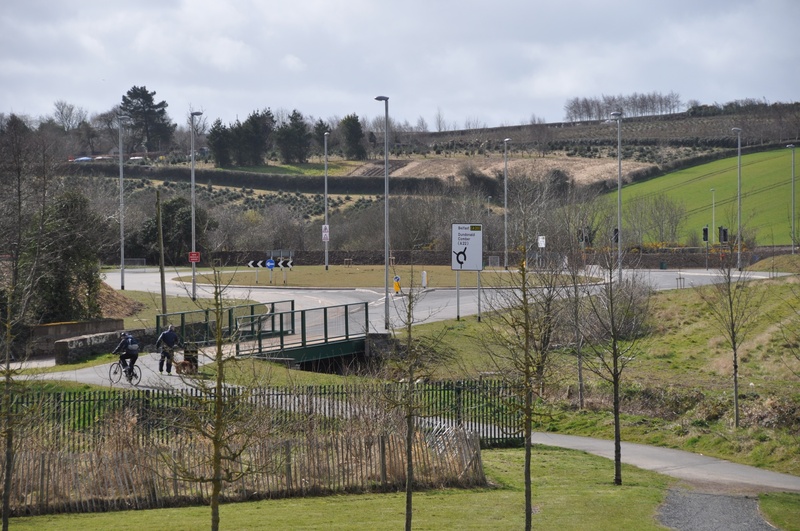 Finally, here is a local tip for hungry walkers: there are no refreshments on the Comber Greenway, but five minutes walk from Longstone Meadow will take you to the shops at the Enler Centre (named after the river). There is a “like” feature, but I think it only works for people who have registered with WordPress.